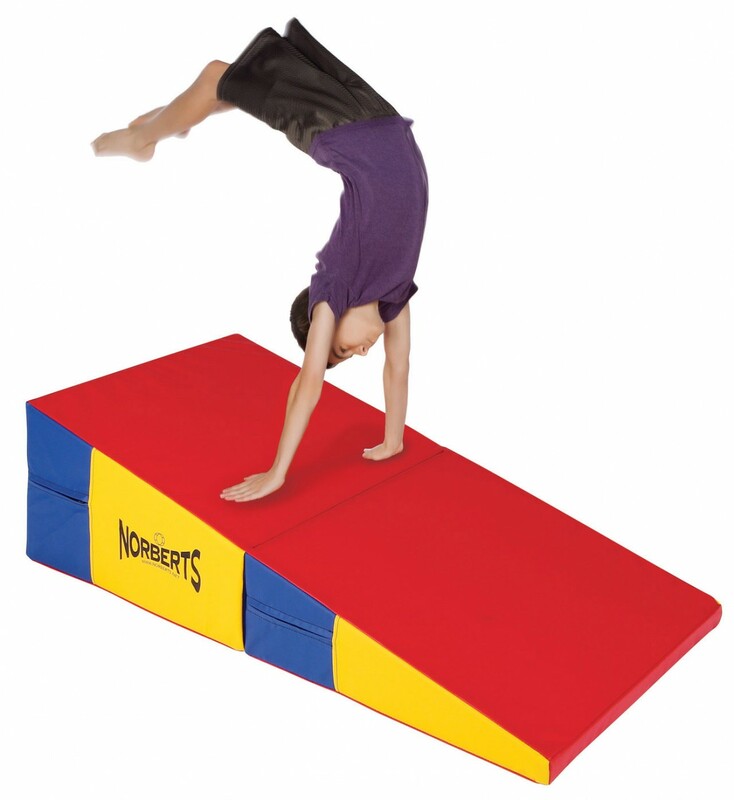 2' x 4' x 14" Standard Folding Incline Mat - Norbert's Athletic Products, Inc.
Norbert's GF-819SF 2' x 4' x 14" Standard Folding Incline Mat is filled with 55 ILD polyurethane foam. Cover is made of tough 18 oz. vinyl and close with sturdy nylon zippers permitting easy foam replacement whenever necessary. All incline mats are supplied with heavy-duty 2" wide nylon handles. Supplied in random colors unless otherwise requested. Random colors are blue and yellow sides with either Red OR Green on top & bottom. Custom colors available at no additional cost. Incline Mats are also commonly referred to as Wedge Mats or Cheese Mats. Designed for preschool ages 3-5. Do not purchase this mat for children over 5 years old or over 30" in height. Click the button below to add the 2' x 4' x 14" Standard Folding Incline Mat to your wish list.